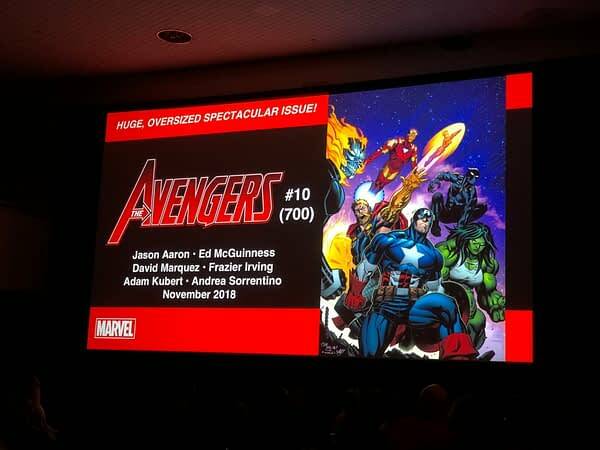 Marvel’s Next Big Thing panel is happening at New York Comic Con, and Bleeding Cool’s Madeline Ricchiuto is on the scene sending us breaking news, or anything we can reasonably pass off as such. 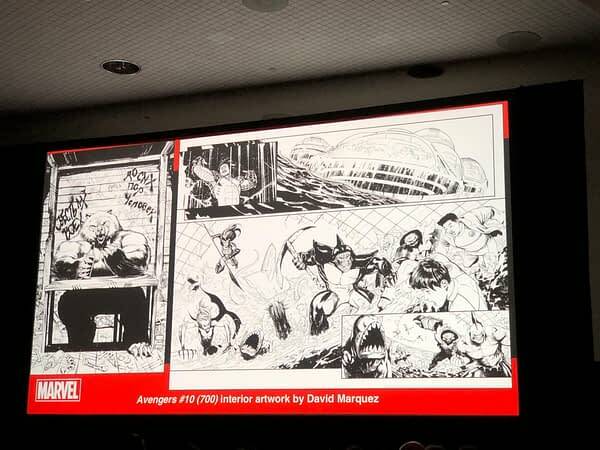 Marvel kicked off the panel by showing off some interior artwork from Avengers #700, or Avengers #10 if you’re some kind of a**hole who doesn’t use the legacy numbers. 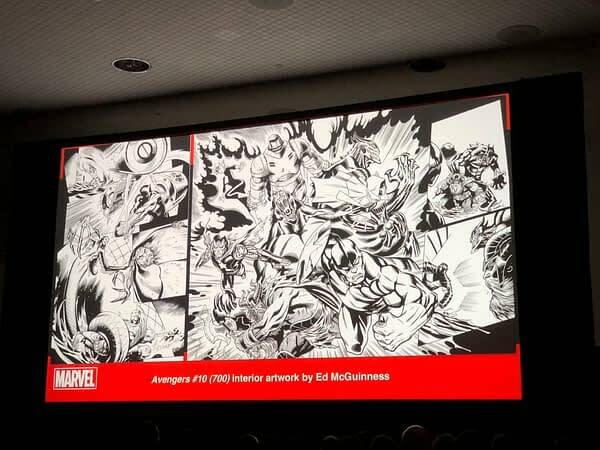 Stay tuned for more news from the panel and a full report later on.